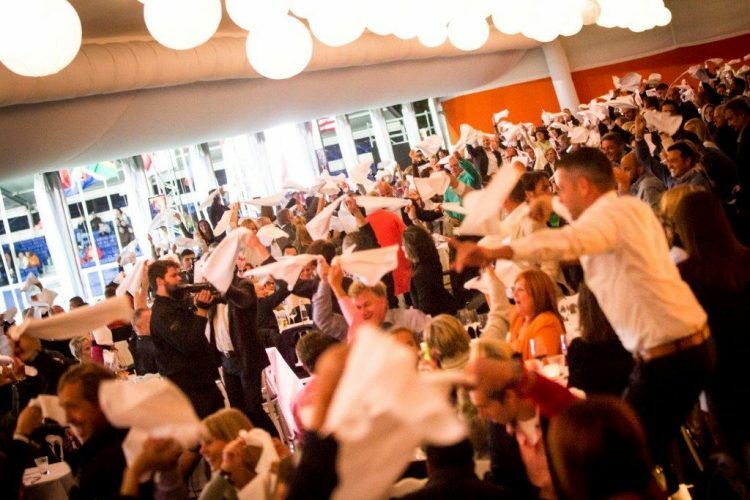 As a corporate event planner, it’s important to put forward imaginative and innovative ideas that will set apart every event you organise from the crowd. Spectacular, engaging corporate party entertainment is the perfect way to dazzle and delight your guests, ensuring everyone remembers your event for all the right reasons – and can’t wait to come back again next year! 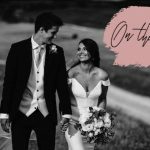 As one of the UK’s leading corporate entertainment agencies, we have selected our top picks for your corporate party entertainment inspiration. 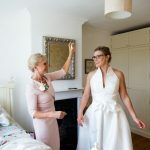 If you’d like a bespoke entertainment package tailored to your brief, please give us a call at Incognito Artists on 02035 533 270 or contact us here. 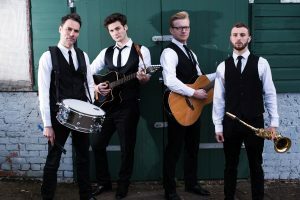 The Techtonics are an all-male vocal group billed as the biggest thing to come out of London since The Kinks. 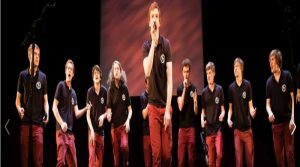 Founded in 2008, this musical sensation has gone from strength to strength, being crowned as World Champions at the International Championship of Collegiate A Cappella in April 2016 and becoming the first non-US group to receive the prestigious title. With five professional singers and beatboxers they move effortlessly through the genres, from Doo-Wop to Hip-Hop using their voices for not just singing, but instrument sounds too. Their options range from background music to full event entertainment and they are sure to add that special touch to your Corporate Event. Scarlett has been busily working her way through the London and European party scene. She is a resident DJ at The Chiltern Street Firehouse and regularly hosts nights at Soho House, Sketch and the Groucho Club. Recent appearances include the Nicole Farhi spring/summer fashion show, Sir Elton John at Battersea Power Station, Armani, Jaeger and for The Kooples. Scarlett’s DJ style is always heavily influenced by all things Disco but ranges from 80’s/90’s remixes, R’n’B, old time classic soul and funk right through to Chicago House. With original mixes and vocals on request her sound is perfect for corporate party entertainment. 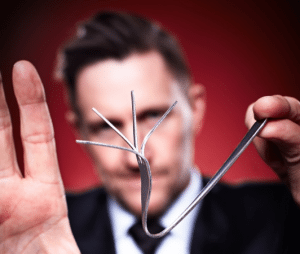 Specialising in magic, mind reading and motivational speaking Spencer delivers an exceptional show designed to unlock the potential within, and help guests to realise how to surpass their own limitations. With this high-energy, high-impact performance Spencer builds an overwhelming sense of motivation and excitement in the room. The show is customisable and the message can be skilfully aligned with your company values and brand. 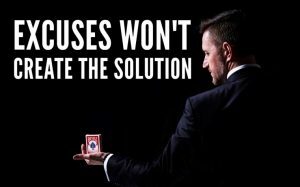 Use magic to motivate your team to support your business aims and ambitions! Perhaps one of the most unique corporate party entertainment ideas, and our speciality, is Tenors and Divas Incognito. This act was carefully designed by us over 17 years ago and has been honed and crafted ever since to become the legendary show it is today. 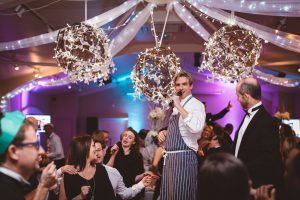 Our incredible team of performers specialize in ‘guerrilla opera’ – posing as chefs, waiters and guests – whatever works for your day – before pulling off the ultimate surprise and bursting into song much to the delight of everyone in the room! 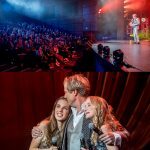 This act can mix the best of the Tenors, Divas, Dance and Swing shows for a totally unique and unforgettable experience. 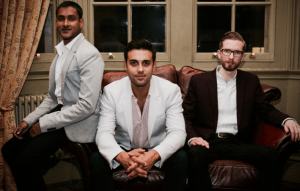 Melding the timeless elegance and class of opera with the fun and relaxed approach of musicals and popular music, Tenors & Divas Incognito is an unbeatable combination! 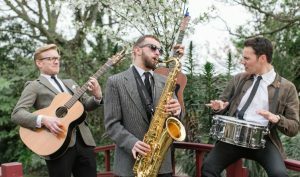 This unique Jazz trio have created their own sound, performing a set list of stripped-back, acoustic arrangements of everything from Bob Marley’s Jammin’ to Drake’s One Dance. 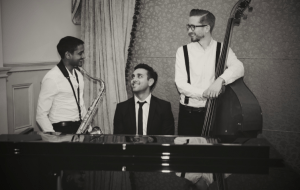 Having performed all around the world, from South America to Greece, and in some of the most exclusive venues in London – including The Dorchester and The Savoy – they are the ultimate professionals. This act will add a certain je ne sais quoi to any corporate party entertainment experience.